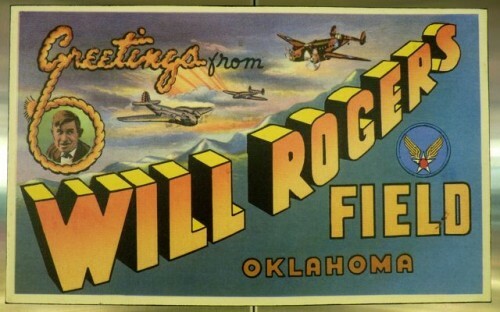 The airport in Oklahoma City is called the Will Rogers World Airport, in honor of Will Rogers, a cowboy who became famous in the 1920s and 1930s as an actor, columnist, humorist, vaudeville performer, and world traveler who died, with his buddy Wiley Post, in a plane crash near Barrow, Alaska in 1935. I like that the airport is named for this Oklahoma native and I’d like to think that he’d get a kick out of the souvenirs Clark Massad found for sale last time he was in town. Instead he found “delicacies” – chocolates and candy – with classic names such as Oklahoma Cow Poop, Oklahoma Cow Patties, Oklahoma Oil and Tornado Seeds. Next time you’re stuck at the airport, please take a moment to poke around the shops. If you find some great souvenirs that are inexpensive (around $10), “of” the city or region and, ideally, a bit offbeat, please snap some photos and send them along. If your souvenirs are featured here on StuckatTheAirport.com, I’ll send you a special aviation-related souvenir.